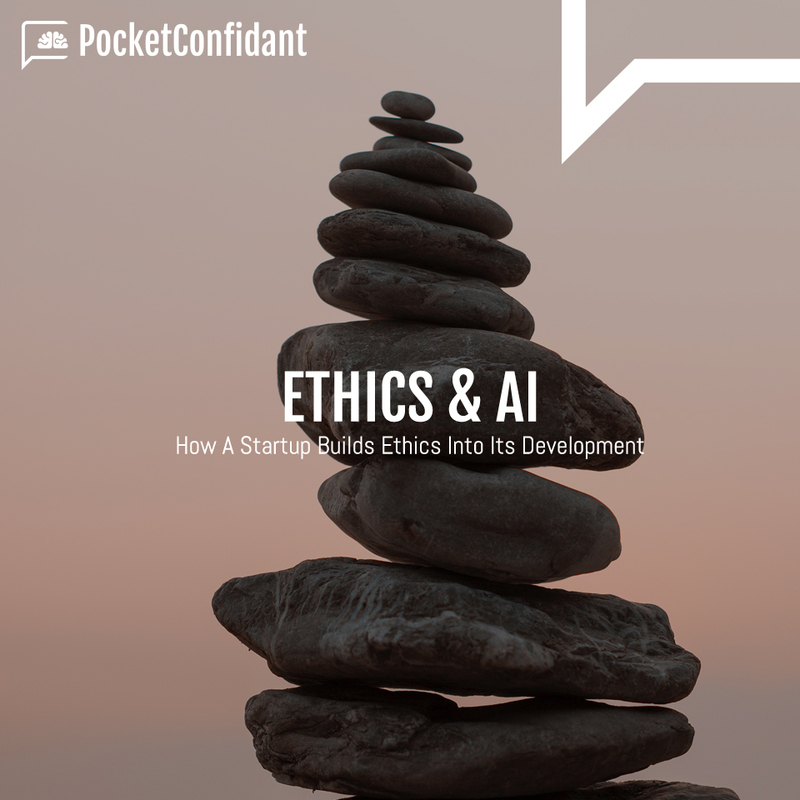 At PocketConfidant AI, we believe Artificial Intelligence can help humanity. This is why we are building the first AI-coach based on the fundamental principles and concepts of coaching: active listening, questioning, rapport and goodwill. Ethics matter and matter increasingly in a world where technology is developing so quickly that it is hard for people to stay abreast of the changes and the potential risks associated. We use tools and resources every day that we cannot know the origins of or mindset of those who developed them. Whether we talk about Artificial Intelligence or other types of products and services, ethical behaviors need to be developed and maintained to ensure that any delivered product or service has positive impact and brings value to its user. Ethical comportment is important to us and aligns with our values. So, one of the big questions for us is and will likely always be: how do we maintain good ethics in building our product? First, our team is built on diversity. We have many different nationalities, and an important mix of men and women, working on the AI. We think that integrating diversity in a team is important and even more so in an innovative product like ours. Second, we constantly surround ourselves with experts who can provide subject matter expertise, and above all challenge our thinking and test our product with external eyes. Third, to ensure that the above point remains challenged and avoid bias, we also work with other entities to provide us with a sustainable vision and principles of practice. This is why PocketConfidant AI has chosen to partner with the A3D, which stands for “Atelier Du Dirigeant Durable” in French and can be translated as “Studio of the Sustainable Leader”, to challenge our product and the way we transfer coaching into technology. The A3D is a network of professionals (consultants, certified coaches, trainers), gathered under the umbrella of an association. Their goal is to develop a model of « Sustainable » Management through promoting reflection and thoughtful action. In their work, the members offer individual and team coaching, workshops and training centered on the individual and his behaviors. How are we going to work together? The A3D is interested to work with PocketConfidant AI because the future of democratizing coaching is, in part, based on using technology. Team PocketConfidant is the first group they will work with to insure the ethical promotion of a coaching culture using technology. PocketConfidant AI is interested in working with the A3D because, the A3D have integrated a sustainable development vision into their professional vision of coaching. And being challenged by a group of experienced professionals is, for Team PocketConfidant, a way to build a sustainable process of ethics and continuous improvement. If you have questions or comments, feel free to leave a comment or contact us.